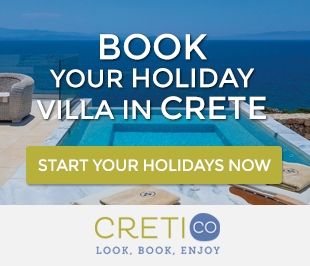 Crete Wineries produces the 20% of the total wine production in Greece, the vineyards in Crete spread over an area of 500,000 hectares and the wine production amounts to 95,000 tons. There are quite popular wineries in the area of Archanes in Heraklion, Sitia in Lasithi, Kolymbari, Kissamos and Alikambos in Chania. The island has the most traditional vineyard of Europe, with old varieties, whose roots are lost in antiquity and the Minoan civilization. The production gives white, rosé and red wines, raisins of the variety “Sultanina” and the table grape “Rozaki”. There are four varieties of Cretan wine: Vilana for white, Kotsifali and Mandilari for red and rosé and Liatiko for some red dry and sweet. Nowadays efforts are made to cultivate more varieties, like the “Malvasia di Candia”. It is a local variety that was abandoned and finally, disappeared from Crete. Some French varieties are also cultivated. 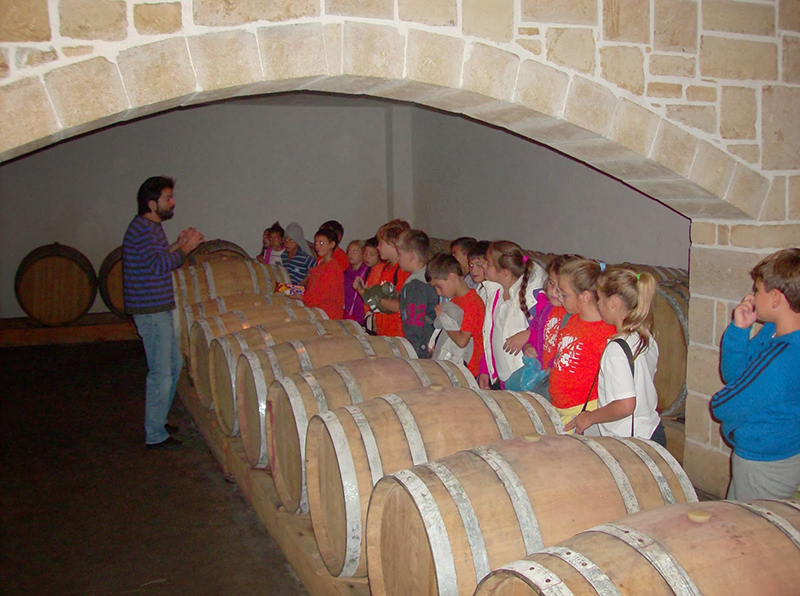 Visitors and residents of Crete have the opportunity to visit two wineries in the area of “Peza”. You can visit their tasting rooms either alone, or as a group. You may combine your visit to the region, with the visit to Nikos Kazantzakis Museum in Myrtia, the Minoan Palace of Knossos, the traditional village of Archanes and the archeological site Vathipetro, where was found the oldest wine press in Europe. 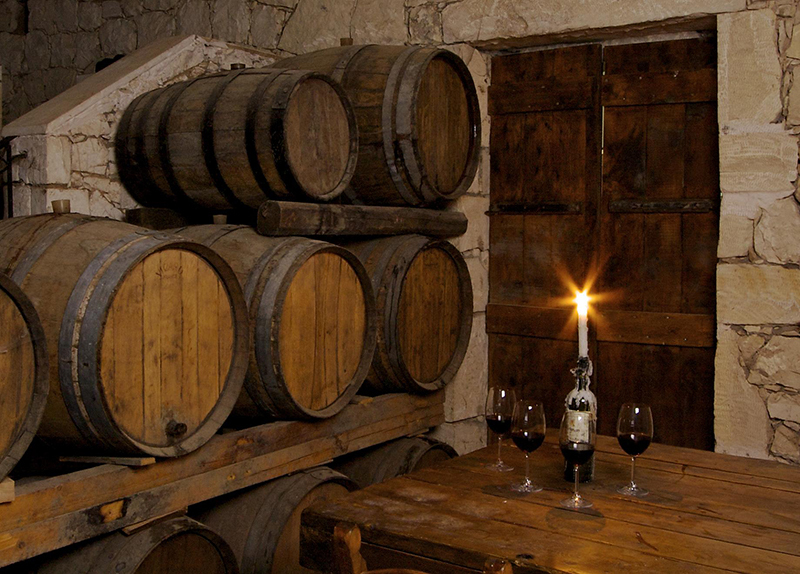 The Crete wineries that have organized tasting rooms are: “Peza” Union and Minos (Miliarakis Winery). 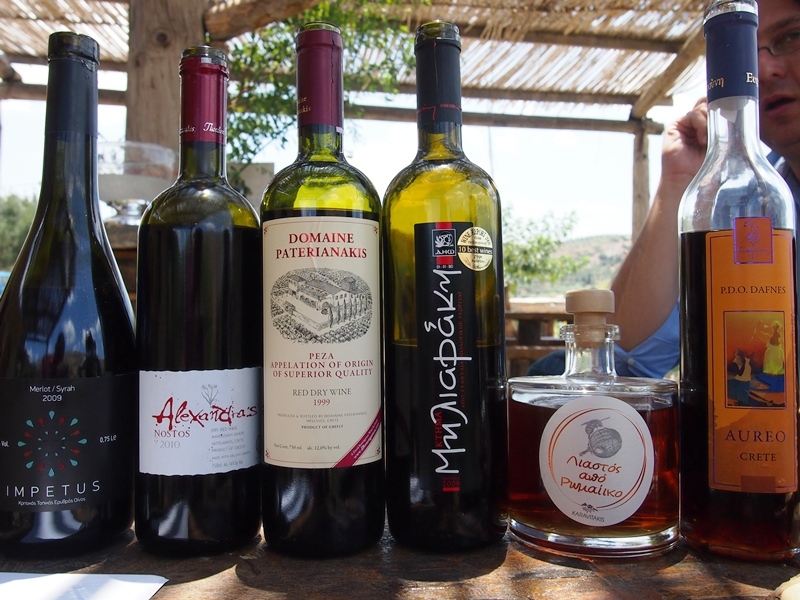 These wineries are within walking distance of each other and at a distance of 8-17 km from Heraklion. You can look for some nice traditional villas close to the area of Peza. 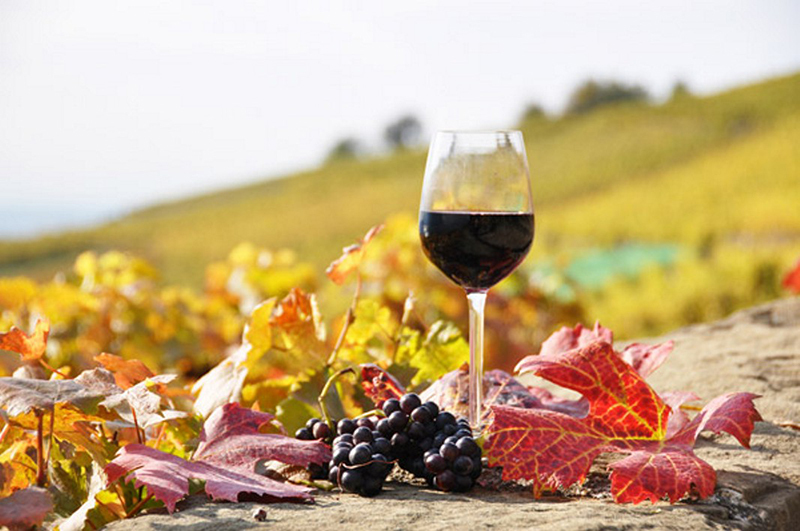 The tasting room is located a short distance from the village Peza, and the admission is free. The tour lasts 30 to 50 minutes, depending on the number of the visitors and the time that they have available. Guests can watch a 10 minutes video, about the region and the production process of wine and olive oil. The video plays in Greek and other 7 languages. 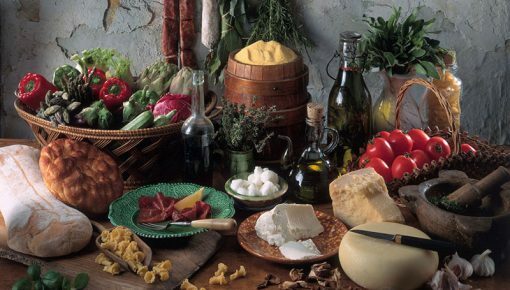 After the play, the guides will show you the museum’s exhibits and will explain you the production process of wine, oil and soap, as this was done in the past. In addition, you will be informed about the current products of “Peza”. At the end of the visit, you will have the chance to taste three wines of “Peza”, combined with the traditional Cretan “dakos” (rusk with tomatoes and extra virgin olive oil). Read also: Live Your Music Adventure At Matala Beach Festival 2016! The tasting room of Miliarakis winery is located on the right side of the road at the exit of Peza village, 17 km from Heraklion. 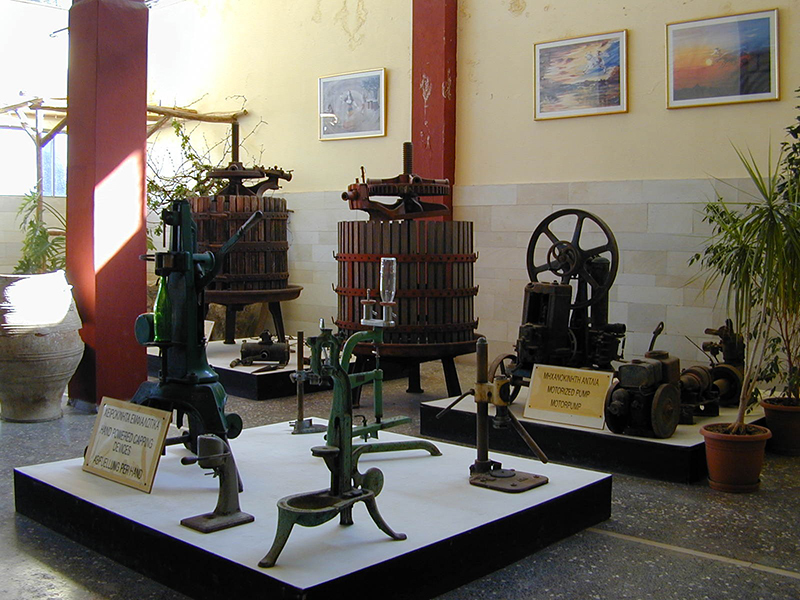 There are quite interesting things to see there: A museum with old winemaking machinery and a traditional stone wine press. A projection room with a capacity of 200 people where they can watch a 17 minutes play, about the history of wine in Crete, the winemaking process and the history of “Minos” Association. (Viewable in 8 languages). A tasting room with traditional coffee furniture and capacity for 120 people. In this area, the visitors have the opportunity to discover the interesting range of the company’s wines and learn about their characteristics. The room operates on a daily basis during the summer months. In Kolympari, Chania, you will find the winery of Mr. Karavitakis. Manolis Karavitakis had the experience of the administration of the Agricultural Union of Kasteli, so he planted new varieties while building the winery, a unit for winemaking, aging and bottling wines. 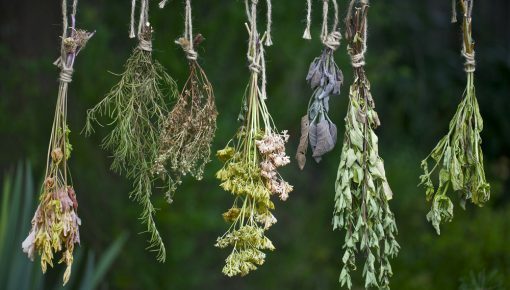 Over the years more and more varieties are planted, covering a wide range of desires. In Kolympari you will also find some luxury sea view villas for your accommodation. 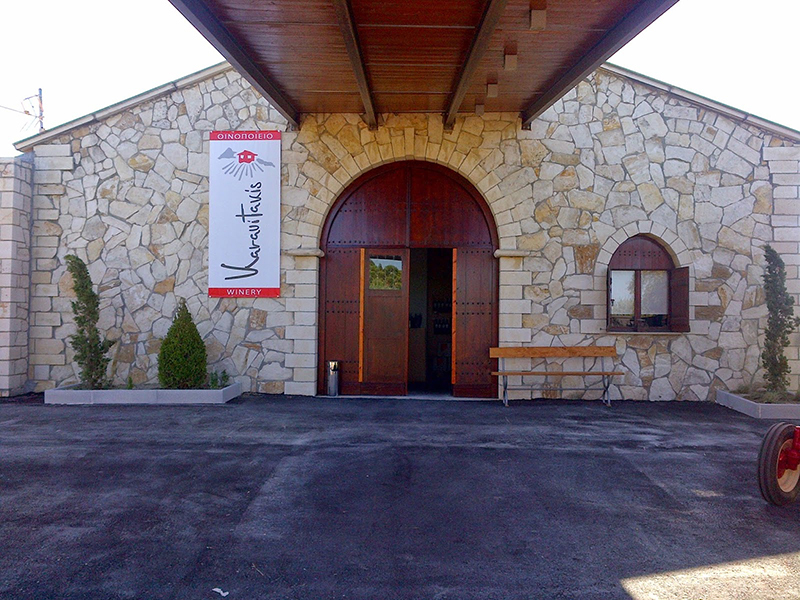 Pnevmatikakis winery is located in the province of Kissamos area with a long history in Viticulture and Winery. The brothers Mixalis and Andonis Pnevmatikakis are the owners of the winery, and the engagement of the family with the vine and wine perpetuated from grandfather to grandfather. Modern facilities, selected varieties and passion for Cretan wine are the elements that make different the winery Pnevmatikakis. If you want to visit and see the cellar, the vineyards and the entire complex, it is very close to the national road Chania – Kissamos four (4) kilometers before the town of Kissamos and specifically in Drapanias village. The love of nature and the joy of creation were the main reasons, for which Mr. Dourakis Andreas created Dourakis Winery in Alikambos village. The vines in this winery are cultivated organically, that’s why composted organic mass is used for the lubrication of vines. The goal of the winery Dourakis is to create exclusive fine wines, in ways that are environment-friendly and combine tradition with modernization. Posted on 11 Feb 2015 in Cretan Culture and tagged Cretan Food And Drinks, Kissamos.